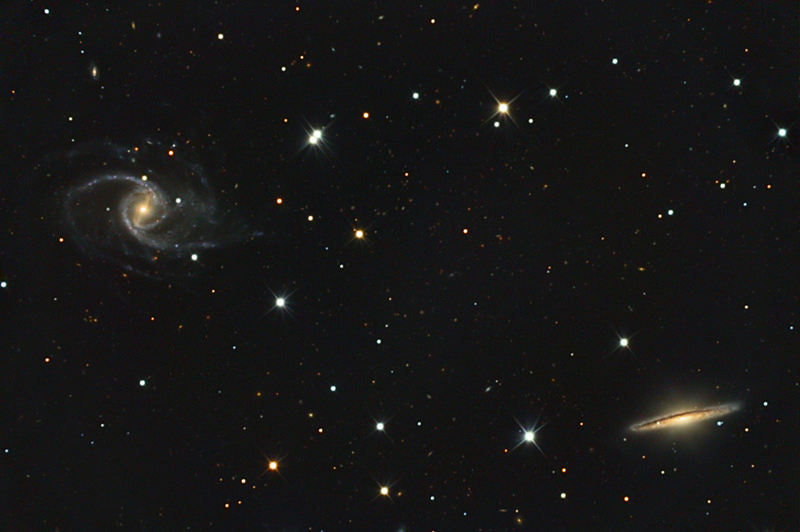 Explanation: These two beautiful galaxies, NGC 5905 (left) and NGC 5908 lie about 140 million light-years distant in the northern constellation Draco. 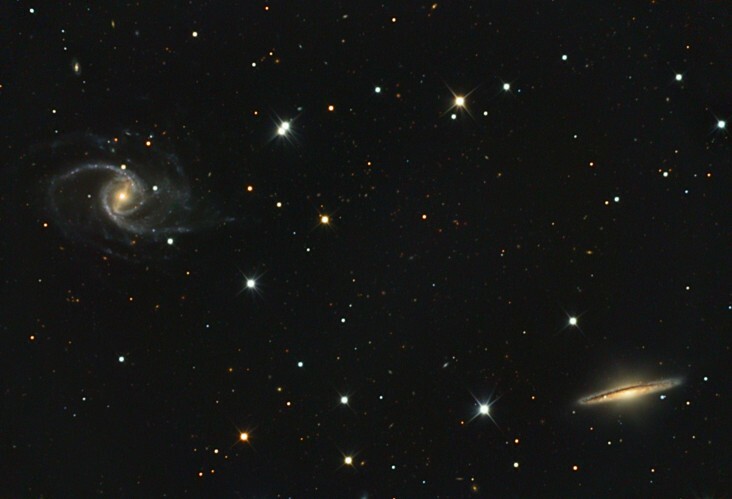 Separated by about 500,000 light-years, the pair are actually both spiral galaxies and nicely illustrate the striking contrasts in appearance possible when viewing spirals from different perspectives. Seen face-on, NGC 5905 is clearly a spiral galaxy with bright star clusters tracing arms that wind outward from a prominent central bar. Oriented edge-on to our view, the spiral nature of NGC 5908 is revealed by a bright nucleus and dark band of obscuring dust characteristic of a spiral galaxy's disk. In fact, NGC 5908 is similar in appearance to the well studied edge-on spiral galaxy M104 - The Sombrero Galaxy.